The concept of an app store for a desktop operating system is nothing new. The repositories that many Linux distributions has been using to download and install software can be considered to an earlier form of the app store. Ubuntu brought app store in the form we know today with its Software Center two years ago in October 2009. Recently, Apple too has adopted this model for distributing applications for OS X with the launch of OS X Lion. Microsoft, too, is set to join them next year with its Store. The Windows 8 Store will make sure that users have a secure and safe place to get their applications from. Microsoft is putting forward a approval process that an application has to go through before it can be listed in the store. This will make make sure that malwares do not get through and quality contents are available. Another difference between Microsoft's store and Apple's app store is the cut they take off the sale of each app. Apple takes a cut of 30% from the sale of each app from its App Store. It has not been confirmed yet, but according to rumors, Microsoft will not take any cut from the sale of apps from the Windows 8 Store. But there is still a year until the Store opens. So, things could change by then. It is too early to say if the Windows 8 Store will be a success or not. But right now everything points towards the right direction. 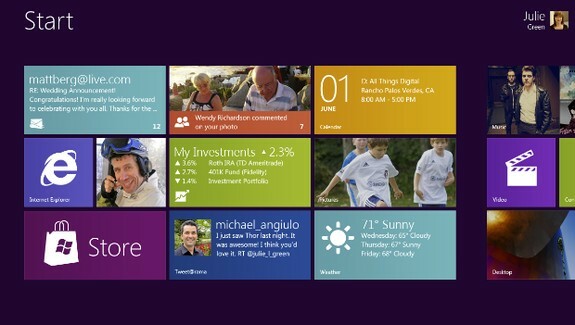 And if you are wondering, the Windows 8 Store will also have the classic Windows applications.